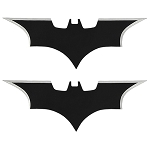 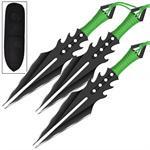 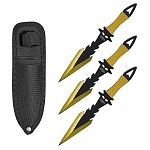 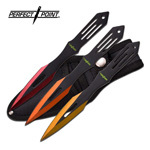 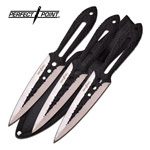 These dynamic throwing knives are sure to hit the spot. 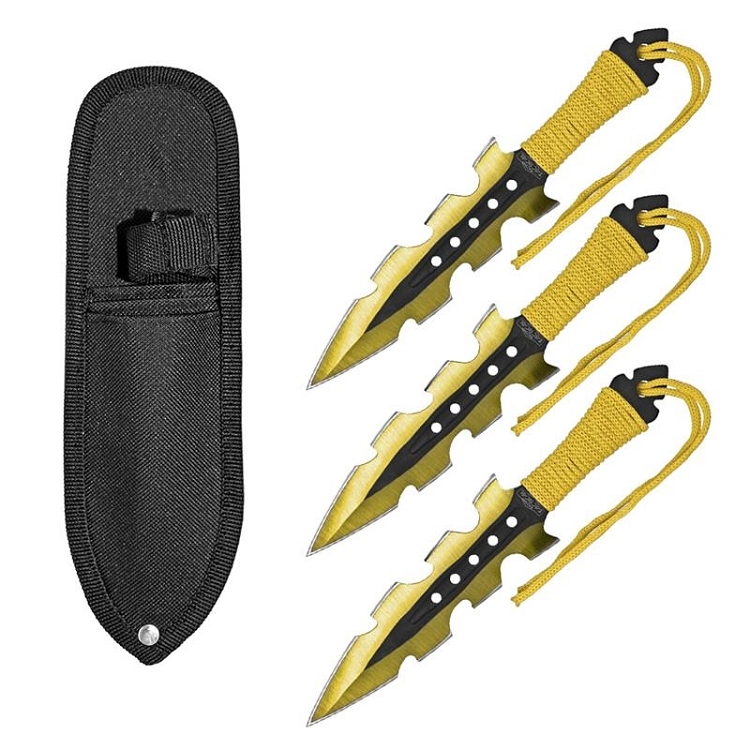 Approximately 7.5 inches long. 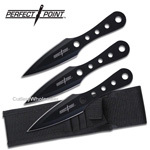 A depression and five cutouts along the length of the blade help to reduce the weight and create a perfect balance. 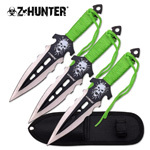 The blade also features a traditional Japanese design and the pommel is triangular making it great as a glass breaker or skull basher in an emergency. 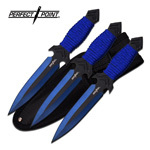 A heavy duty nylon case allows you to keep your throwers handy with a belt loop.